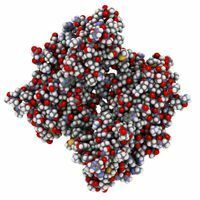 To determine how microproteins function in the cell, researchers interrogate their interactions with other proteins. One way to do this is to genetically tag the microprotein of interest with a peptide called FLAG and then isolate it and its interacting partners using antibodies that bind to the tag.  Alternatively, researchers can use a tag called APEX2 that labels nearby interacting proteins. 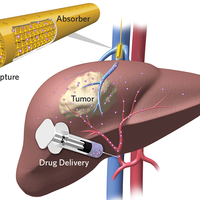 In both cases, the isolated protein complexes are analyzed using proteomic and biochemical methods, and the results can shed light on the functions of the microproteins themselves.  Tagging a microprotein called cell cycle reg­ulator of nonhomologous end joining (CYREN) revealed its role in regulating DNA repair. Researchers linked a DNA sequence encoding a short peptide called FLAG to the gene encoding CYREN.  The FLAG-tagged microprotein sequence was then expressed in cultured human embryonic kidney cells, which were collected, lysed, and incubated with anti-FLAG antibodies bound to beads. Putative function: CYREN acts by binding to the Ku70/Ku80 heterodimer and inhibits nonhomologous end joining (NHEJ) by protecting breaks with overhangs. 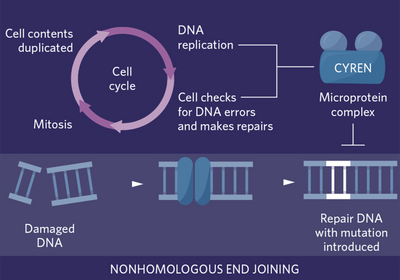 The researchers proposed that, in doing so, CYREN promotes error-free repair by homologous recombination during cell cycle phases when sister chromatids are present. 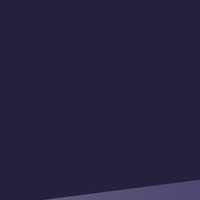 Tagging the interacting partners of a microprotein called mitochondrial elongation factor 1 microprotein (MIEF1-MP) revealed its role in protein translation in mitochondria. My colleagues and I genetically linked MIEF1-MP to a protein tag called ascorbate peroxidase 2 (APEX2), then treated human cells expressing the sequence for the tagged microprotein with the labeling agent biotin-phenol, causing nearby proteins to acquire the label. We then collected, lysed, and treated the cells with streptavidin beads that bind to the biotinylated proteins, allowing for their enrichment for functional analyses. 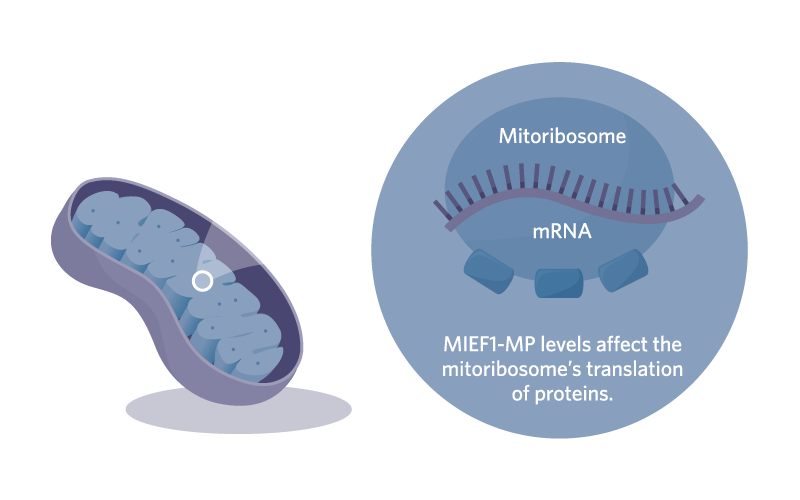 Putative function: MIEF1-MP interacts with the mitochondrial ribosome (mitoribosome) and may serve as an assembly factor for the mitoribosome. The translation of proteins in the mitochondria slows when MIEF1-MP levels drop and picks up as the abundance of the microprotein increases. 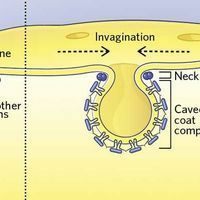 As of early 2019, only about a dozen microproteins have been assigned even putative roles in humans or animal models.